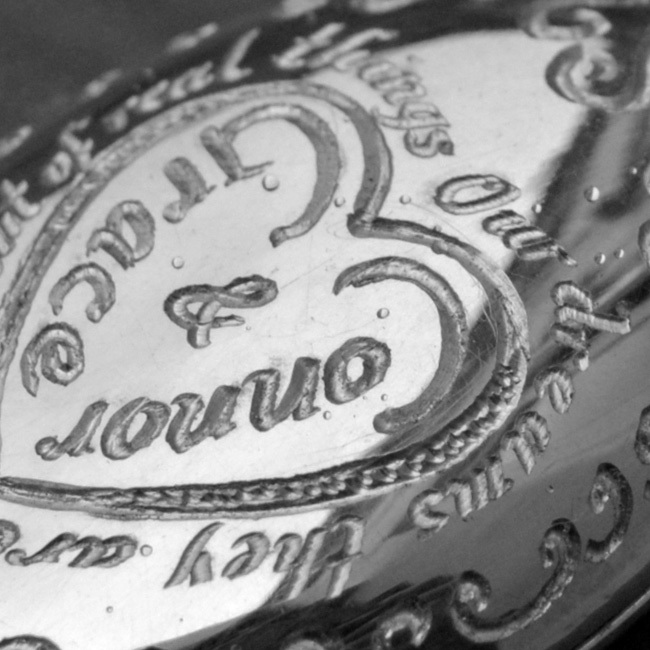 A commissioned silver locket with personalised engraving detail. 18″ x 24″ in size. 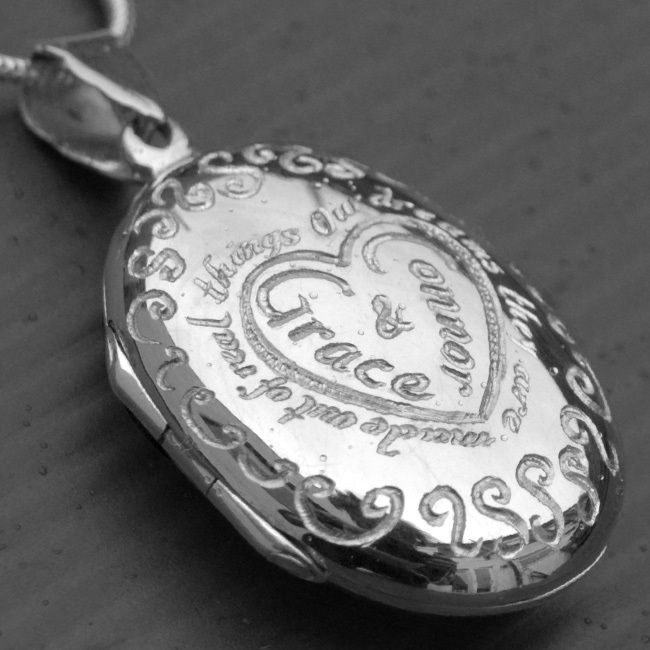 Whether you’re buying for a friend or a loved one, personalised necklaces and pendants are the way forward when it comes to jewellery. Email me your design ideas. SKU: N/A. Availability: In stock Size: N/A Categories: All Jewellery, Necklaces, Commissions, Wedding Jewellery, Wedding Gifts. Tags: bespoke, commission, commissions, handmade, jewellers, jewellery, liverpool, locket, LWSilver, necklace, north west, silver, silversmith, unique, wedding rings, wirral.